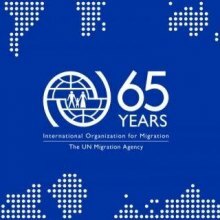 UN Migration Agency (IOM) Director General William Lacy Swing called on all parties in Myanmar to exercise restraint following fresh violence in Rakhine State. He also appealed to the international community to provide more support for civilians fleeing into neighbouring Bangladesh. According to IOM Bangladesh, which coordinates humanitarian assistance to some 200,000 Undocumented Myanmar Nationals living in makeshift settlements in Cox’s Bazar, an estimated 18,500 people have crossed into Bangladesh from Myanmar since latest outbreak of violence on 25 August. Thousands more are still trapped in the no-man’s land between the two countries. Director General Swing joined UN Secretary-General Antonio Guterres in his condemnation of the coordinated attacks against Myanmar’s security forces, but called for a proportionate response on the part of the Myanmar authorities that recognizes the need to protect vulnerable civilians. He noted that most of the civilians crossing the border are women, children and the elderly and appealed to Bangladesh, which already hosts an estimated 400,000 Undocumented Myanmar Nationals, to continue to admit desperate people fleeing the violence. 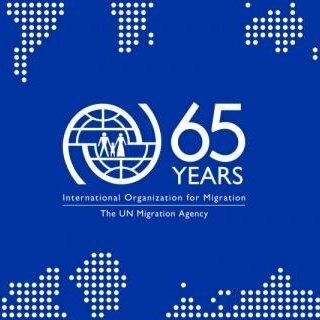 IOM, he said, is at the request of the Bangladesh government, working with the local authorities, UN, NGO and other partners coordinating humanitarian assistance including deliveries of food, water and medical support in Cox’s Bazar. While new arrivals who have entered Bangladesh are able to access these services, he appealed to Bangladesh to either admit people caught on the border or facilitate better access to enable humanitarian aid to reach them. He also called on the Myanmar authorities in Rakhine State to facilitate the work of humanitarian agencies and provide access to vulnerable people in need of assistance to stabilize the situation and reduce the number of people trying to flee the country. Welcoming the recommendations of a report published by the Advisory Commission on Rakhine State, he noted that, if implemented, they would also contribute to greater stability. Limited resources mean that IOM and its humanitarian partners in Cox’s Bazar are now struggling to cope with the influx of new arrivals. IOM is committed to supporting both Myanmar and Bangladesh in addressing the humanitarian needs of people affected by this emerging humanitarian crisis on both sides of the border. But in order to achieve this, more support will be needed from the international community, he added.